Sometimes we need to convert DOCx files containing tables into XLS, a file format which is designed to work with tables, formulas, etc. You can use Total Doc Converter, but if you are looking for a specialized DOCx XLS C# converter, we suggest you try Total Doc Converter X. Having been developed by CoolUtils, this program is a unique tool that can be setup as a standalone client-server application available for users of your local network or serve as a web service available online. 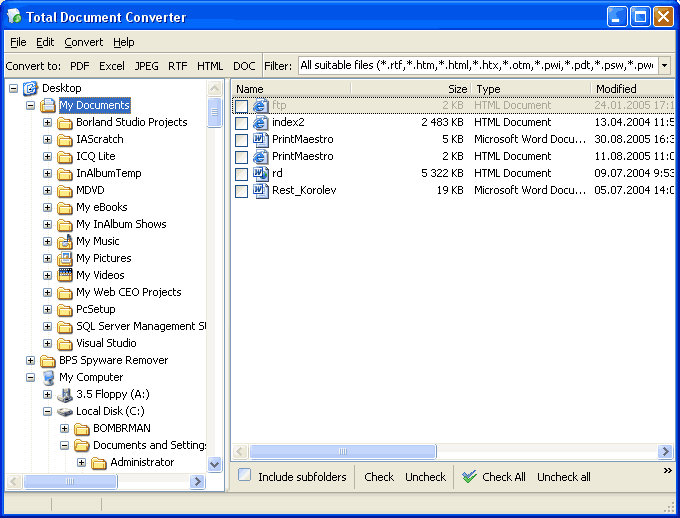 Download Total Doc Converter X. You can check out the free 30-day trial version or purchase the lifetime license for just under $120. Install the program on the web-server. You can find the complete list of commands supported by CoolUtils' Total Doc Converter X on the developer's official website. Enjoy easy and efficient conversion! 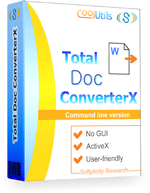 Total Doc Converter X supports Activex, function which will definitely make advanced users happy! Also, with Total Doc Converter X you can process files saved in Doc and RTF to formats, other than XLS. Supported formats include PDF, HTML, JPG, TIFF, and TXT. Additionally, this converter supports batch conversion: this means you can process hundreds of Doc files at a time, saving lots of time! To evaluate the quality of Total Doc Converter X, check out the free trial version now! Or contact CoolUtils customer support team to learn more about this and other offers! Server Word Converter is a great app for you!